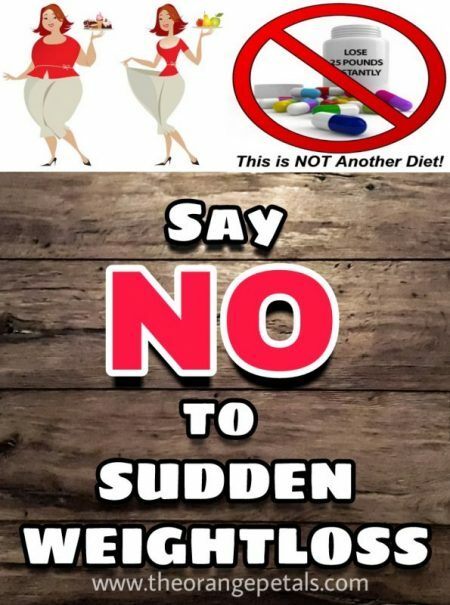 Why you should say no to sudden weight loss? Losing weight is a dream of every person who is obese. People adopt several weight loss measures to get into shape and perfect figure. Some of the key weight loss measures involve intake of lesser calories, low carb diet, workouts etc. It is always important to take balanced diet while on weight loss and workout plan or else the body is likely to suffer from various malnutrition disorders. The deficiency of any important nutrient from the diet is known as malnutrition which can lead several diseases. It is therefore important to keep a strict eye on the diet you are taking. Losing weight too fast is never recommended by fitness trainers or dieticians as there are some harmful consequences of it. What is meant by sudden weight loss or rapid weight loss? Why to discourage rapid weight loss? Weight loss is a dream of every obese person sometimes turns out into a nightmare, especially when a person is drastically losing the weight. For example if you are losing 10 pounds in 10-15 days is always something alarming for the body. 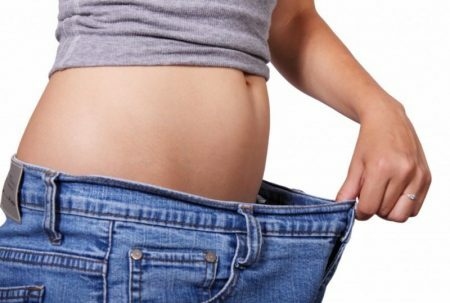 Rapid loss of weight can be simple and effective but there are certain limitations. The use of weight loss supplements ensures faster weight loss. Many weight loss supplements are available in the market with a claim to drop the body weight effectively and give you a slimmer trimmer figure. According to an estimate in United States, obese people annually spend $33 billion per year in order to reduce their body weight. The efficacy of these weight loss supplements is always under question. Let’s discuss what is meant by rapid weight loss and what its potential side effects are. The fast weight loss pills are available in the market but it is always tough to figure out what is best for you. There are certain categories of weight loss depending on efficiency and efficacy. Several starvation diets are being introduced which ensure detoxification of harmful substances from the body. The master cleansing diet comprises of water, maple syrup, lemon juice, mint, cucumber and cayenne pepper. This diet not only helps to reduce weight but also cleanses the body and rejuvenates the skin. There are a lot of weight loss supplements available in the markets which are either in the form of pills, diet tea, or some other drinks with a promise of faster weight loss. The use of such supplements is not recommended as they can potentially be harmful for liver and kidneys and can irreversibly harm their functioning. Low caloric diet can ensure weight loss but there is a potential risk of body being deprived of certain essential nutrients and low energy. However this can be resolved by medically supervised low caloric diet. If taken properly, it is the most effective way of weight loss. It is essential to remember that you need to burn more calories than the consumed ones. Certain topical ointments and weight loss belts are also available which are least effective in reducing the body weight. Likelihood of stones in gall bladder (gall stones) increases in the people who lose their weight frequently. Dehydration but it can be prevented by intake of more fluids. Malnutrition diseases especially when there is a deficiency of certain vitamins and proteins from the diet. One of the life threatening situations is an electrolytic imbalance which is caused due to frequent or rapid loss of weight. Irritability and headaches particularly migraine headaches. Increased fatigue even on slight work out. Decreased fertility especially the men who starve or take imbalance diet suffer from low sperm count and erectile dysfunction. A person losing weight rapidly encounters the same side effects as a person with obesity suffers from. Under this scenario, the safest option to consider for weight loss is a low caloric diet. Weight loss surgery is another method which is modernized way of removing excessive fats from the body. If you are taking low caloric and low carb diet it is essential to consult dietician for proper meal plan as the meal needs to be balanced nutritionally. As we see around most of the people consider weight loss goals for short time, for example to get into figure for some ceremony, fitting well into their favorite dress or looking good while enjoying at beach and this goal can easily be achieved by intake of low caloric or low carb diet. But for all those who are considering weight loss to get rid of obesity and related disorder, they need to consult a health care professional. With low caloric diet you can get multivitamin and multi-mineral supplements to rule out the risk of malnutrition disorders. Intake of low fat yoghurt or milk to keep the bones healthy. Regular workouts to burn the existing calories. Increased physical activity such as walking for at least three kilometers a day is an ideal way to burn out calories. When planning a dietary pattern, consider it for a long term. 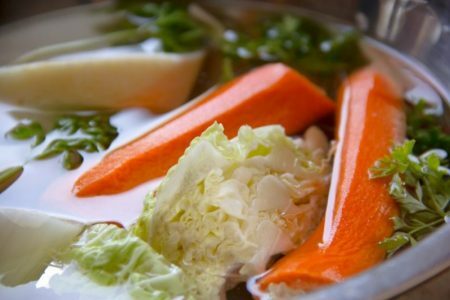 As when you will return to normal diet all the outcomes can be reversed within a short time. Stay out of stress and get a time to relax your mind and body. Stanley Burnett is the editor of https://www.slimmingpillsinfo.co.uk and has over 7 years of experience in the fitness industry. On his website he provides detailed reviews of different supplements available on the UK weight loss market.